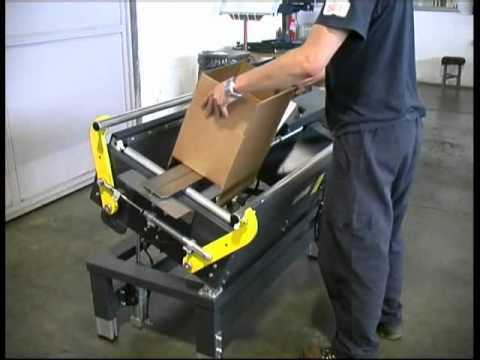 The F104 carton erector folds the bottom flaps of boxes entered into machine by an operator, allowing a time saving of 50%. The box with the bottom flaps folded remains in vertical position for filling operation. Subsequently it could be pushed through a pneumatic cylinder in a “Fixed Format” case sealer machine for sealing with adhesive tape.